“You get what you pay for” – the words that often ring through your head when buying any new musical instrument. And while that certainly still can hold true at entry level purchases, for the mid-range market, the quality of instrument manufacturing today has taken huge steps forward, offering much more opportunity to find a fantastic product, without breaking the bank – just take a look at the fine acoustic guitars you can score here for less than S$1,000. And what’s more, the best products are no longer just coming out of the United States. Globally, we’ve seen a huge improvement in manufacturing processes, craftsmanship and quality control, and as a result, manufacturers outside the U.S have started to alter popular opinion, which was to trust only the build quality and heritage of American made instruments. 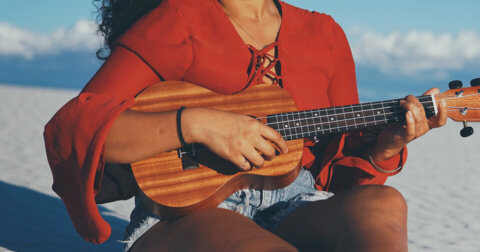 In fact, it’s now possible to find instruments that rival their more expensive U.S. contemporaries. And that’s good news for everyone. 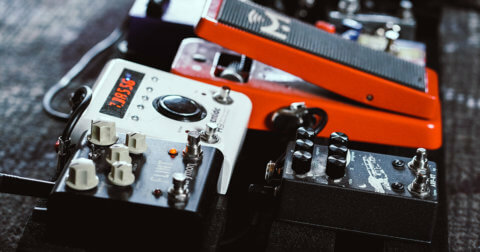 Whether you’re looking to upgrade your starter pack bass guitar or just looking for a high-quality bass without busting your wallet, you’re in a good place – here’s what S$1,000 or less, can buy you. Can you really go wrong with a Fender Standard Jazz or Precision Bass? Listen to any record – past or present – it’s likely to feature one of these bass guitars. These are classics trusted by generations of bassists spanning over a huge range of genres for good reason. The Jazz basses have 2 single coil pickups for a brighter, more defined midrange – think Jaco Pastorius or Flea. The Precision basses have a single split-coil pickup, which delivers a punchy, round tone, championed by Motown forefather James Jamerson to Steve Harris of Iron Maiden. Headquartered in Seoul, South Korea, Cort has been one of our favourites when it comes to outright value for your money. The GB4-Custom boasts features like Seymour Duncan pickups, Hipshot Ultralight tuners, a Neutrik locking jack and a beautiful spalted maple top on a swamp ash body. 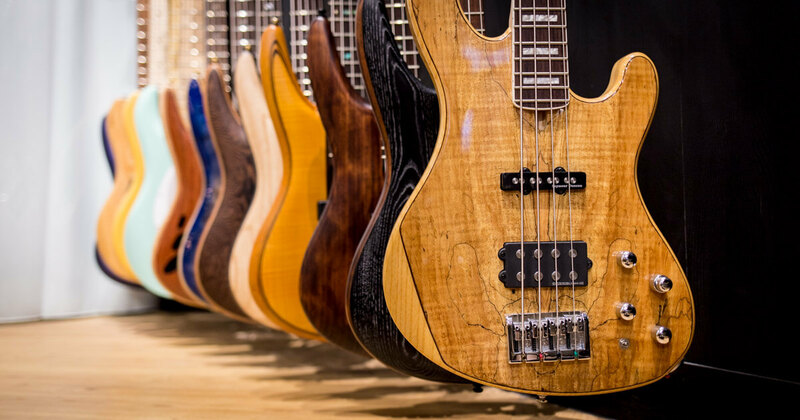 These are features you’d normally find on higher-end, boutique basses, and the GB4-Custom makes them count with excellent build quality. Cort has made a very playable and versatile bass, with a price tag that hides its true colours. Ibanez is owned by Hoshino Gakki and based in Nagoya, Japan. They are probably best known for their electric guitars, but their basses are definitely no slouches. From the more affordable lines to the higher end basses, Ibanez has done a fantastic job delivering quality instruments for every level of musician. One look at the Ibanez SR670 you get the feeling it’s an exotic, premium instrument. The mahogany body is paired with a beautifully figured ash top, again reminiscent of the more expensive boutique basses. But the bass is not just all about looks, the Bartolini BH2 pickups together with a 3 band eq and mid frequency switch allow for a huge array of different tones and expression. A rock ‘n’ roll icon, the Thunderbird’s distinct shape makes it perfect for a bassist who cares about his looks as much as his tone. The Thunderbird’s neck through body construction delivers incredible sustain, as well as a beautiful visual contrast with the 7 piece maple and walnut neck woods. 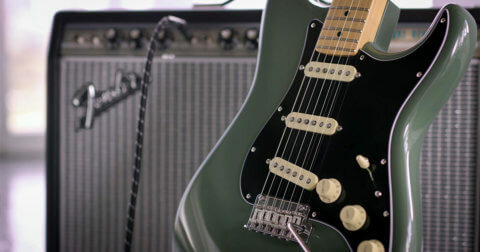 5 strings give you an extended range of lows for the sort of ground shaking frequencies you experience at rock concerts. These bass guitars are all more than worthy for the stage and Swee Lee stocks many more for under S$1,000 too! Head down to our flagship store at The Star Vista, pull a few off the shelf and try them on for size.